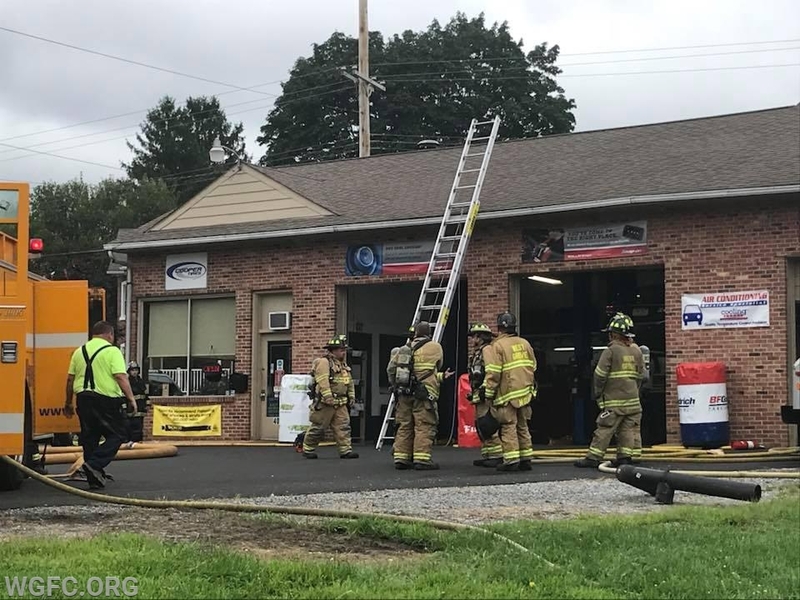 On Tuesday August 21, 2018, West Grove Fire Company was dispatched to the West Grove Service Center (formerly Brackin's Service Center) on Baltimore Pike at Gurnsey Road for a building fire. Avondale, Oxford and Cochranville were dispatched for the assist. Shortly after dispatch, Chester County Fireboard added Medic 94 for a reported burn victim. E22-1, L22, A22-1 and E22-2 all responded within minutes of dispatch and were quickly on scene. Arriving units reported smoke showing, with crews taking their first due engine and ladder assignments. After an assessment, the fire was quickly contained with one 1.75" attack line, and confined to an oil recycling heater. Crews then checked the attic space and roof for extension. 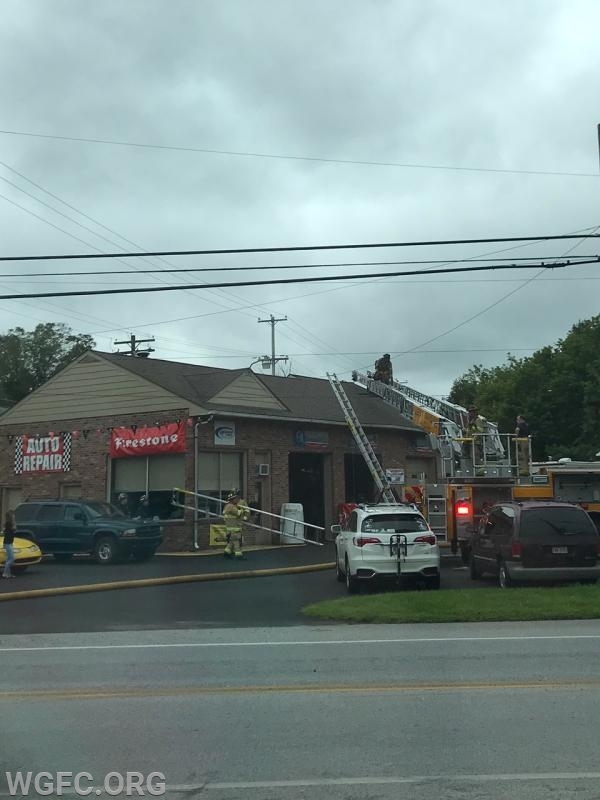 After the crews ventilated the building, all searches were negative for extension and the fire was declared quickly under control, and incident scaled back to the WGFC units. The burn victim was evaluated and was treated at the scene by WGFC EMT's. Crews were back in service in one hour. Mutual Aid: Multiple unites from neighboring companies: Avondale, Oxford, and Cochranville, as well as Medic 94. Crews made fast work of a fire contained to an oil recycling heater. 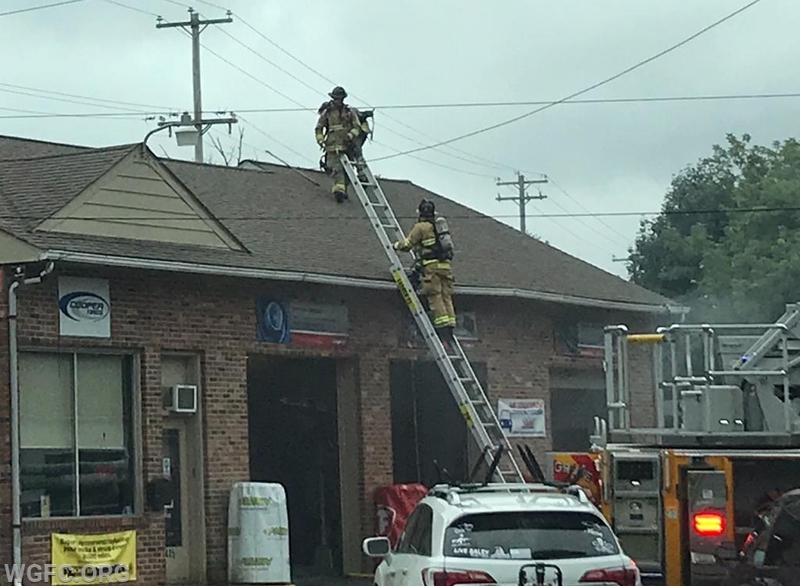 Firefighters go to the roof to check for extension. 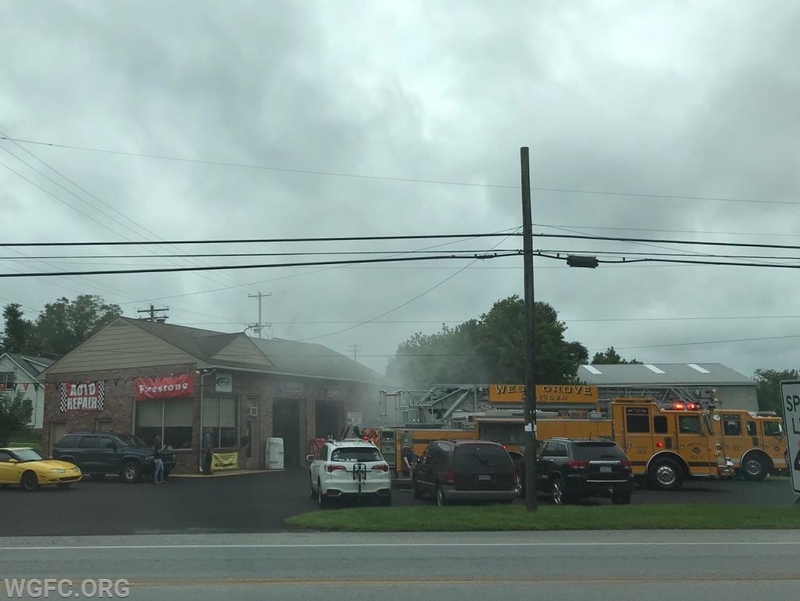 West Grove Fire Company units arrive on scene to a reported building fire at a local business at the intersection of Old Baltimore Pike and Gurnsey Road. WGFC firefighters made quick work of this fire, which had one injury . 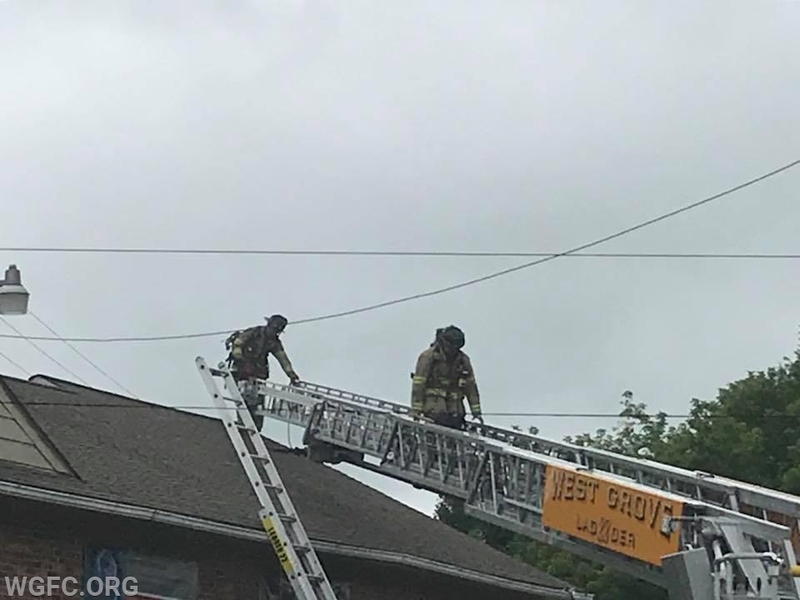 Crews begin to pick up ladders after the fire is declared quickly under control.